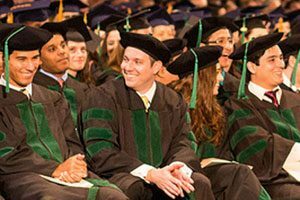 The University Graduate School is committed to excellence in graduate education and is proud to offer fellowship opportunities for new and continuing students. It is important to note that funding for the fellowships is limited and very competitive. To be considered for specific awards, it is critical to submit a complete application prior to the stated deadline. The Presidential Fellowship is utilized for the recruitment of outstanding Ph.D.-track students to graduate programs at FIU. Each fellowship provides a three-year award package to the fellow. 1 additional year of funding support from the fellow’s graduate program (as a Teaching Assistant). The McKnight Doctoral Fellowship program is designed to address the under-representation of African American and Hispanic faculty at colleges and universities in the state of Florida by increasing the pool of citizens qualified with Ph.D. degrees to teach at the college and university levels. Newly admitted doctoral students who have been awarded a McKnight Fellowship from the Florida Education Fund are eligible to receive UGS Enhancement Funding. The Latin American and Caribbean Graduate Fellowship program is designed to promote international education and research between FIU and the countries of Latin America and the Caribbean. Awards include a $1,000 annual stipend and a tuition rate reduction to in-state for the academic year. The FIU Inclusion Fellowship was created by the University Graduate School to encourage promising undergraduate and master’s students who are underrepresented minorities* or people with disabilities, to pursue a Ph.D. degree at Florida International University. The Inclusion Fellowship will support Ph.D. students in any discipline for up to two years starting in the fall 2019 term. Two additional years of funding will be provided by the graduate program through a teaching or research assistantship. Preference will be given to students with prior research experience. In honor and recognition of our veterans’ service, the University Graduate School has established the UGS Veteran’s Fellowship. This fellowship provides support to student veterans to pursue their doctoral education at Florida International University. The UGS awards the Veteran’s Fellowship once a year in the Fall term. The fellowship includes one year of support with a $24,000 annual stipend plus a tuition waiver and individual health insurance, provided that the student veteran does not have leftover tuition funds on the GI Bill. If the student veteran has tuition funds on the GI Bill and health insurance is covered by the Armed Forces, UGS will cover the stipend. 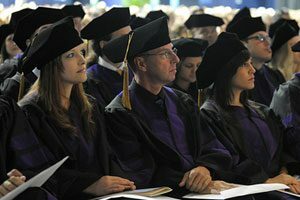 The Doctoral Evidence Acquisition (DEA) Fellowship is specifically intended to support doctoral students who have no financial support for evidence acquisition activities or those students for whom their current means of financial support would significantly interfere with or preclude their ability to collect the evidence needed for their doctoral research. (NOTE: Academic Works requires that a general application [resume and personal statement] is completed before you apply to ANY fellowship in the system. Since this is a system requirement and not a University Graduate School requirement, students can upload this document to bypass this requirement. If you choose to upload a CV and Personal Statement, please keep in mind they will NOT be reviewed or taken into consideration by the Graduate Program Director or Selection Committee). Dissertation Year Fellowships (DYFs) provide support to highly-qualified FIU doctoral students during the data analysis and writing phase of their dissertation. It is intended to facilitate the timely completion of high-quality manuscripts and dissertations. Students who are conducting outstanding research in their discipline and have established a notable record of publication during their doctoral studies (in comparison to others in their discipline) are favored in the application process. Dissertation Fellows are expected to graduate within 1 year after receiving the award. The Office of Equal Opportunity Programs and Diversity, in conjunction with the State University System, coordinates the Delores Auzenne Fellowship for minority graduate students. For the application deadline and additional information, please click here – The Delores Auzenne Fellowship. The FIU Nuclear Fellowship Program funded by the US Nuclear Regulatory Commission is committed to increasing the quality and quantity of students successfully completing Ph.D. degrees in the new radiochemistry Ph.D track, within the Department of Chemistry & Biochemistry Ph.D.program. FIU Nuclear fellow graduates are well positioned for employment in the US Nuclear Industry, US Department of Energy Facilities, such as National Laboratories, the US Environmental Protection Agency, the US Nuclear Regulatory Commission , the US Department of Defense, as well as other branches of academia, industry, and government. Opportunities for summer research and networking at State-of-the-Art Nuclear Facilities at National Labs, such as Oak Ridge National Lab, Savannah River National Lab, and Idaho National Lab. Personal statement of research interests (for incoming students) or 2-3 page description of research project and progress and its program relevance (for current M.S. and Ph.D. graduate students). The FIU Nuclear Energy University Fellowships Program funded by the US Department of Energy Office of Nuclear Energy is supporting excellent graduate school applicants and 1st year students, planning to complete their dissertation in fields associated with of Nuclear Energy. 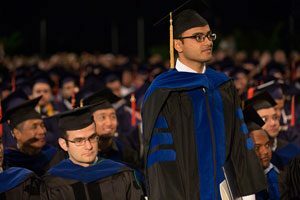 FIU Nuclear fellow graduates are well positioned for employment in the US Nuclear Industry, US Department of Energy Facilities, such as National Laboratories, the US Environmental Protection Agency, the US Nuclear Regulatory Commission , the US Department of Defense, as well as other branches of academia, industry, and government. Up to $50,000 of annual support, including annual stipend plus full tuition/fees for a period of 3 years. Application Deadline: October 10, 2018. NE intends to notify award recipients in Spring 2019. The FLAS fellowship supports language training in Less-Commonly-Taught Languages (LCTLs), including Portuguese and Haitian Creole. The Summer Fellowship also includes the study of Quechua. Full-time, degree-seeking FIU graduate and undergraduate students in any discipline who are completing coursework related to Latin America may apply. FLAS Fellowship recipients are required to complete at least one Latin American and Caribbean-related area studies course and one Portuguese, Haitian Creole, or Quechua (summer only) course each semester at FIU while holding the fellowship. Summer fellowships offer students the opportunity to participate in FLAS approved Summer Study Abroad programs. Students in the professional schools (Business, Law, Medicine, Journalism, Social Work, Engineering, etc.) and those planning a career in U.S. government service are strongly encouraged to apply. For the application deadline and additional information, please visit the program website. The Bridge to the Doctorate Fellowship Program funded by the National Science Foundation is committed to increasing the quality and quantity of underrepresented minority students successfully completing science, technology, engineering and mathematics (STEM) PHD degree programs. For information on addition sources of funding, please visit our External Funding resource page.